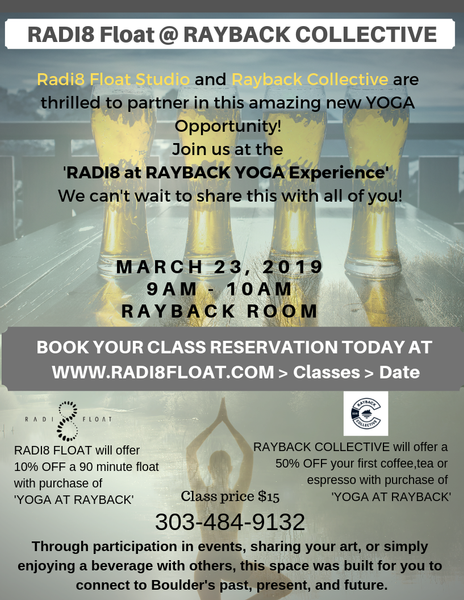 Yoga at the Rayback Collective this Saturday! Radi8 Float Studio and Rayback With Sydney! 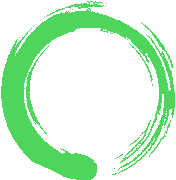 Align and Flow, Float! Move in the rhythm of your attention, body to breath to gain a sense of your growing strength, flexibility and focus. The session will move from simple to more complex, letting shapes, poses and movement patterns grow in your body and awareness naturally. We aim to leave you feeling powerful and joy-filled ! This session is appropriate for all levels of healthy practitioners. Enjoy 50% off your first coffee, tea, or espresso after class courtesy of the Rayback Collective.